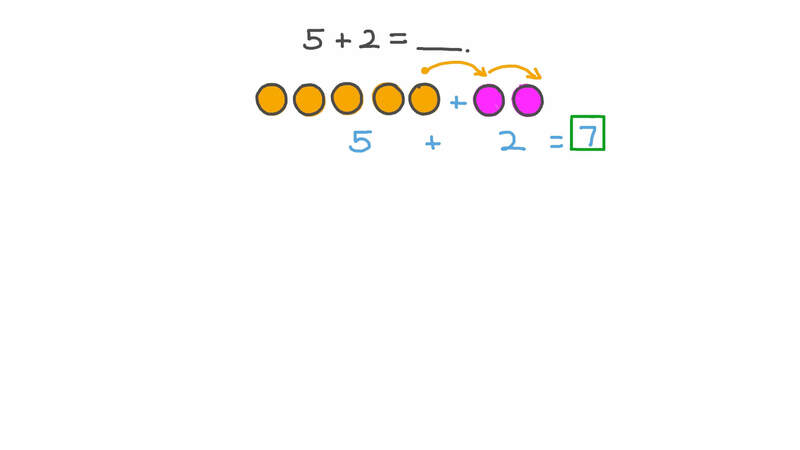 In this lesson, we will learn how to identify properties of addition to solve problems and represent them using number lines and figures in a real-world context with numbers up to 20. 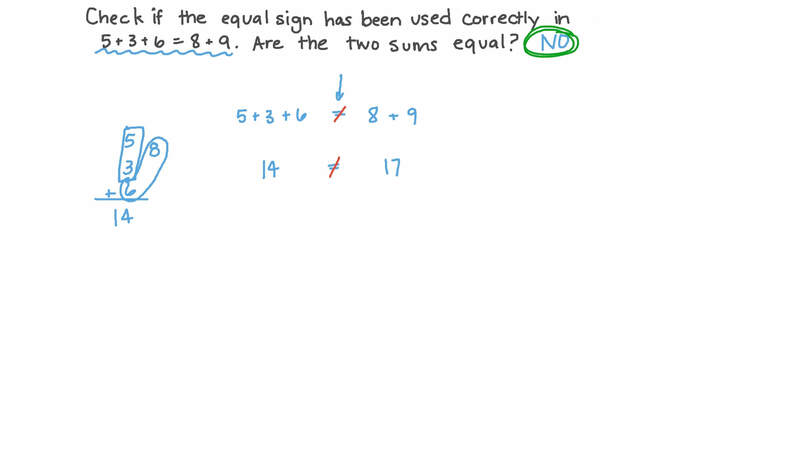 Check if the equal sign has been used correctly in 5 + 3 + 6 = 8 + 9 . Are the two sums equal? 5 + 2 = . Mariam has 1 dog, 7 fish, and 2 rabbits. She has pets in total. How many pets does she have? Bassem is adding 8 and 6 by first making 10. Find the missing number in his calculation. Write the number of rabbits, dogs, and ducks, and then find the sum of all animals.